From early on the one thing that made me feel like I was settling into life here in Brooklyn was my weekly visit to the laundromat. Indeed using a laundromat is somewhat of a right of passage here in NYC. 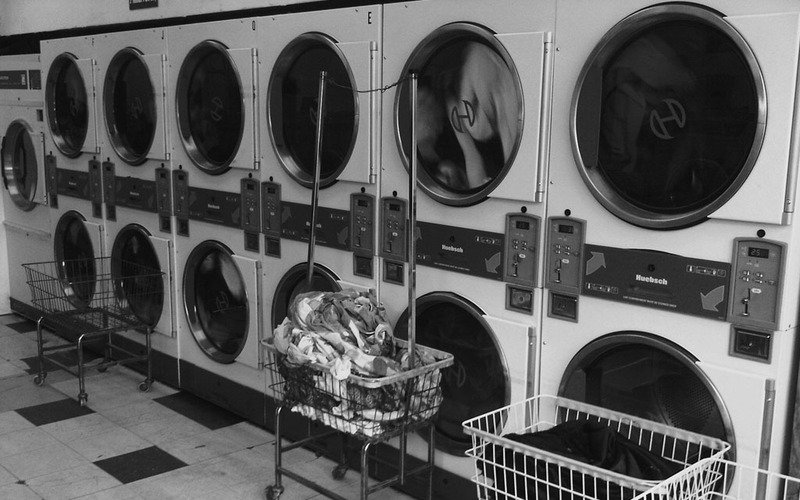 For many New Yorkers using a laundromat is simply part of life. With many apartments not having washing machines and dryers, New Yorkers are forced to bundle up all their dirty socks and underwear into a huge laundry bag and struggle with it on their walk to the nearest laundromat. Sometimes the nearest one can be blocks away. I’ve now got the routine down pat but on my first visit I was completely baffled by the whole thing. Don’t get me wrong I’ve done loads of washing before (thank you very much), however not this style of washing. I had absolutely no clue what the process was nor how to make the machines work. Luckily for me, two women who saw how hopeless I was, kindly took me under their wings. After our brief exchange, me “I have no idea what I’m doing”, them “You are the cutest thing”! (My Australian accent certainly went down a real treat). The women showed me the ins and outs of the laundromat; where to put the quarters in the coin-operated machine; how to buy the detergent (did I want soaps or suds? ); what the big tables were for (folding your clothes); and explained what the wheely baskets were for. It’s been more than eight months now of using the laundromat. I’ve hauled that laundry bag back and forth countless times, trudged through the snow, competed with others over certain machines, folded my clothes in front of strangers and have almost been at breaking point when a machine ate all my quarters. Although it’s such a New York thing to do, I will never again take for granted having a washer and dryer at home.